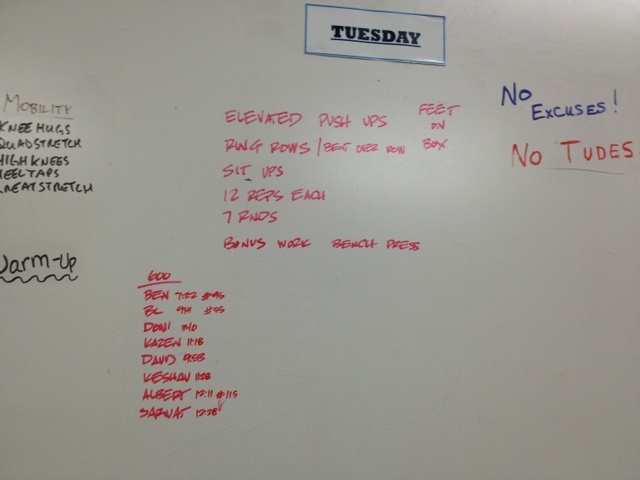 The pushups got really hard by the 3rd round and I had to break them up in 8 reps/then 4 reps. Felt pretty good but my arms are sore now. I'm hoping that I can commit to doing more lifting this winter and build my strength.